Belagavi’s loss is Hubballi’s gain. Private budget airline SpiceJet will to shift all its air services from the Sambra airport in Belagavi to Hubballi from where it will operate flights to various parts of the nation and Sri Lankan capital Colombo and Dubai from May 14.From April 8, some services in Sambra were closed and from May 14, all the five services operational currently to Mumbai, Bengaluru, Chennai and Hyderabad will be shifted to Hubballi. 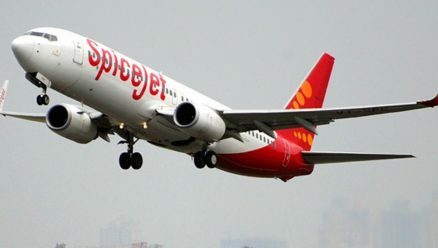 This move is part of an effort of the Civil Aviation Ministry to connect cities under the Ude Desh Ka Aam Nagarik (UDAN) scheme. UDAN seeks to promote regional connectivity by serving unserved and under-served airports. According to sources from Sambra airport, as Belagavi was an operational airport, it could not be brought under the scheme. Dharwad MP Pralahd Joshi disclosed this development by posting the details about routes and schedule of flights on his Facebook wall. “It was the dream of Prime Minister Narendra Modi to facilitate air services to common man at an affordable prices even in remote cities,” Joshi has stated in the post.Hubballi airport was selected in the second round of bidding under the scheme and four operators, including public carrier Air India, have got a few routes to operate. All operators have already done due diligence to start operations on the routes they have been awarded.